eDOCS Mobile App is Here! No other CTMS or eRegulatory system has mobile capabilities like we do. Want to access site eRegulatory files, sign documents with your thumb print, refer a patient to a study or look up site and sponsor contacts all on your mobile device? There’s an app for that! 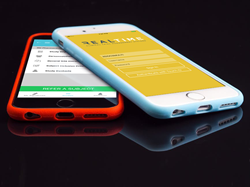 RealTime-CTMS launched the first-of-its-kind new app this week that allows site staff to use its popular eDOCS solution from an iOS or Android device. eDOCS is a cutting-edge system that can be fully integrated with RealTime-CTMS or used as a stand-alone system. The solution enables sites to go fully digital, eliminating messy regulatory binders and paper work. eDOCS has already made a splash in the clinical research world and with the release of the app, industry leaders are expecting the solution to continue to grow in popularity. Some features of the new app include the ability for investigators to sign documents using iOS and Android finger print technologies, easy access to site and sponsor contacts on the go and push notifications that alert investigative staff that requests for signatures are pending. The app also allows site staff to refer a patient into a study and instantly access protocol and study information. “We are very excited about the launch of our app and believe it will greatly increase efficiency and success across our sites,” says Greenfield. For more information on eDOCS mobile, download the app at the App Store or on Google Play. RealTime Software Solutions, LLC is located in San Antonio, TX and is a leader in database-driven, cloud-based clinical research software solutions. Our focus is on research sites and our goal is to solve problems and provide systems that make the sites more efficient and more profitable. We are constantly listening to our customers to provide new innovations that improve performance and help sites achieve their goals.